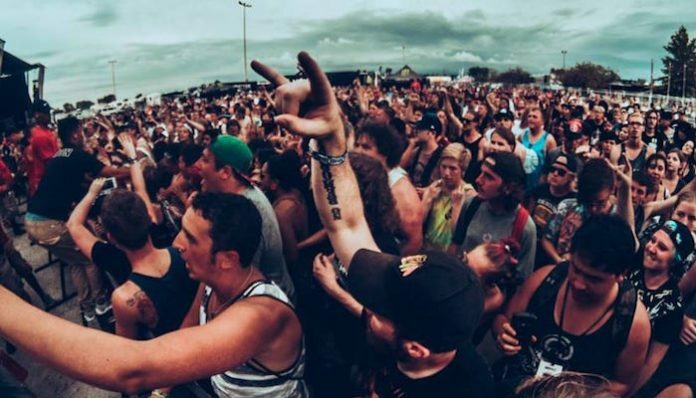 Warped Tour is officially over, and left fans with some inspiring parting words. It’s the end of an era—Vans Warped Tour is officially over, and the festival had some parting words with fans and attendees about moving on. The final stop of Warped Tour was at West Palm Beach on Sunday. The final performance was Pennywise, who played the last song ever of the cross-country tour. The official Warped Tour Twitter account posted some photos from the performance and the day in general, along with a touching message. “We ended the way we began w/ [Kevin Lyman] himself & [Pennywise],” the post read. “We now give this tour to the fans. Take the spirit of Warped w/you into your lives and do great things. “Build each other up, engage in philanthropic endeavors, and never forget your roots,” it continued. Our hearts cannot handle this. THANK YOU WEST PALM BEACH! Warped Tour founder Kevin Lyman posted his own message on his personal account about the end of the tour. OK seriously, are you trying to make us cry? The final run of Warped Tour included performances from bands such as Waterparks, Palaye Royale, State Champs and many more. What’s your favorite Warped Tour memory? Let us know in the comments!